Did Gorillaz Just Announce a New Project Called 'The Now Now'? Gorillaz previously suggested that they would release a new music this year, and now it looks like that's about to come true. 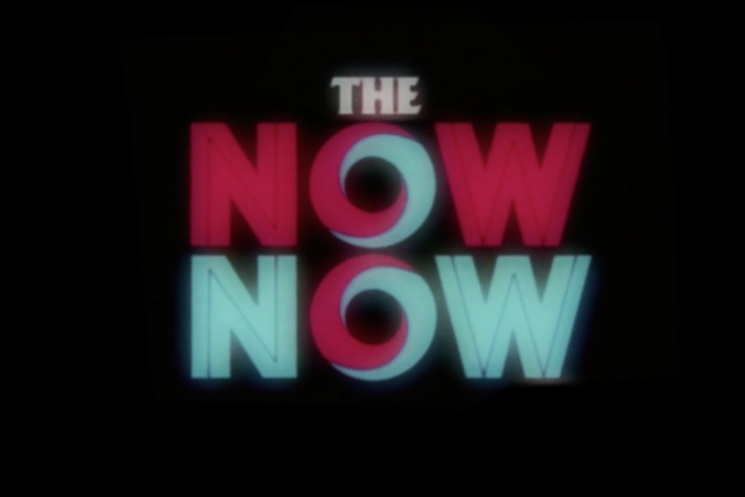 Some Reddit sleuths have uncovered a website indicating that a project titled The Now Now will be out June 29. The first clue was a series of posters at London's All Points East festival, featuring cryptic slogans and the url thenownow.tv. One of the posters reads "NO MORE UNICORNS ANYMORE," which is a recent Gorillaz slogan posted by Jamie Hewlett on Instagram. If you head to thenownow.tv and watch the video clip, there's a brief image of cartoon Gorillaz member 2-D sitting with a guitar. There's no band name mentioned anywhere, however. The clip itself has a retro '70s look, which fits with the disco-inspired backing music. The title The Now Now appears prominently, as does the date June 29. It's a promising glimpse into what's coming up. At this point, it's unknown if The Now Now is an album, a new single, or something else entirely. In any case, we're going to be finding out sooner rather than later. Check out the clip here.